The Bald Dragonfly: Catherine Pooler Designs:: The Perfect Reason :: And a Giveaway!! What fun flowers! These are both cheerful cards Karen, very cute! 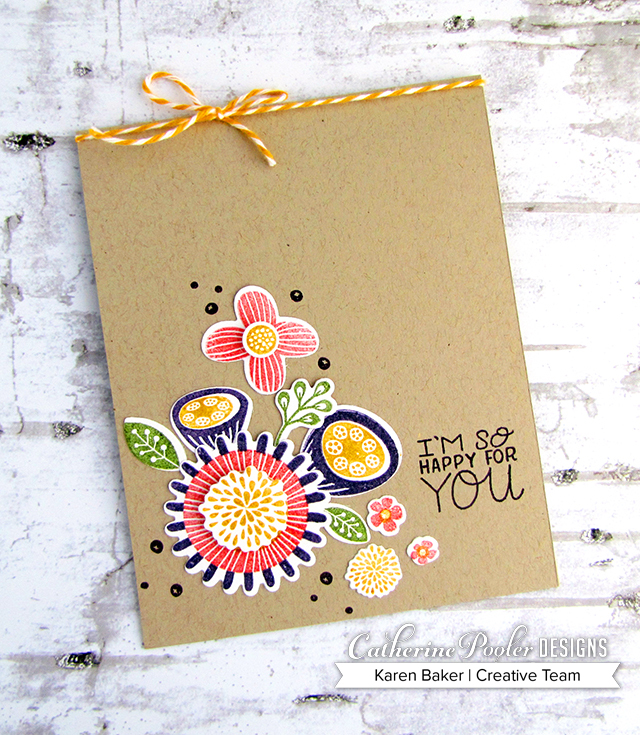 I love seeing all your beautiful cards Karen! Cute, cute, cute! Karen, your cards are gorgeous! I love the flowers very much. Thank you for a chance to enter your giveaway. Fun cards! I love the colors. saw Catherine's post of this on fb, looovve how you used these! Such bright, cheerful cards. And I would love to win this bundle! I am just super excited! Love the brilliant primary colors! TFS! Very unique cards. Love the colors! I love the colors you've used! Such pretty flowers! Great use of these sets! I really appreciate the Perfect Reason flowers cut from solid cardstock instead of stamped. Fun whimsical flowers!! Would love to win!!! Thanks for the inspiration. Fantastic cards! Love your color combinations, bold and bright on the white and rich and luscious on the kraft. Oh wow! Your blue & white with the bright colors is an amazing design! Thanks for making me smile! How cool are these! Love them! Awesome cards. Love the quirky look of the flowers and dies. Thanks so much for sharing..
Love the bold colors and fun flowers! Great cards. Love the sentiments and colors. So Joyful. Love both of your cards! 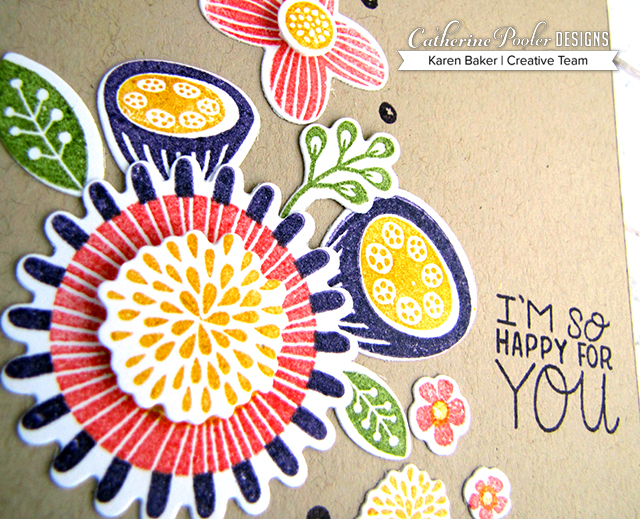 The colors are so rich and vibrant - just fun, happy cards! This new flower set is so fun! I'm loving all the inspiration from the different card designs. Thanks for sharing! So adorable and fun! 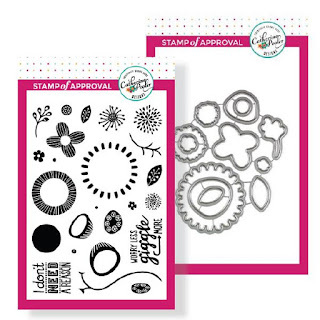 I love that you used the stamps on one card and the dies alone on another. These colors just POP! 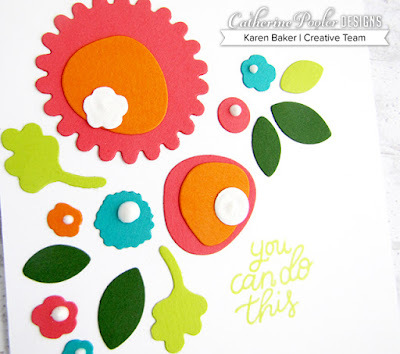 Karen - what a burst of beauty and creativity with these two stunning cards !! My eyes are always drawn to bright pops of color so the white card definitely made me swoon but the softness of the kraft and gorgeous colored flowers is equally beautiful :-) TFS! 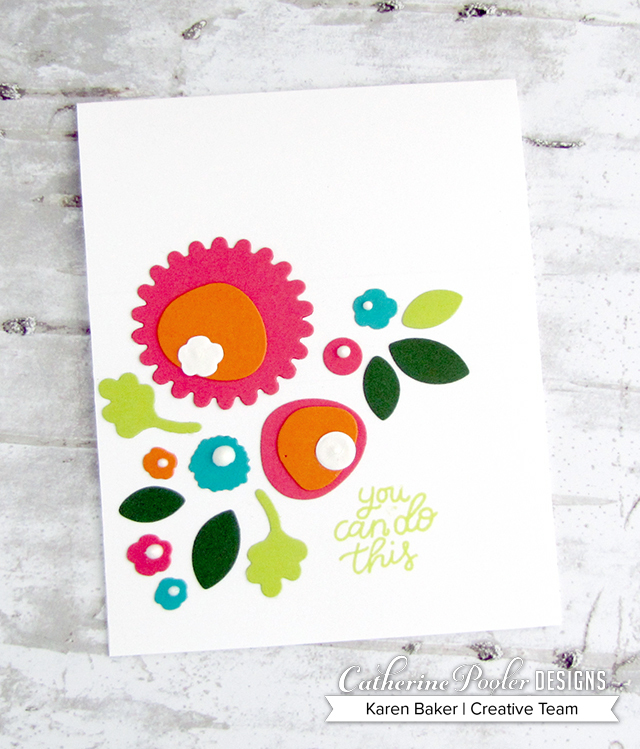 I love your take with the die cuts of Perfect reason to make a funky card. So CUTE! So pretty! 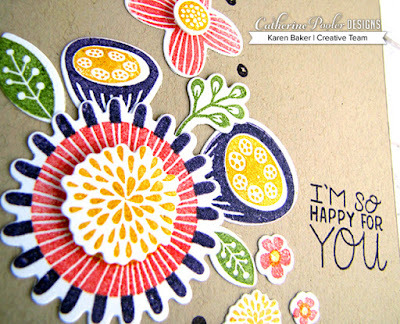 You did a great job arranging the die-cuts and picking such great colors. Such cute designs and awesome ink colors! Great images, with and without ink! I don't know which one I like best!!! Thank you. Love your cards. So cheerful. I thought the last one was made of felt until I read a little closer. Beautiful. Great cards using that set. Such creativity. I like the die cuts without the stamped images. I'll have to try some. I like both of your bright cards. This set is vry versatile. Both cards are so bright and so much fun. Thanks for sharing. I like that the flowers are more abstract and not overly frilly and who can't use a reminder to "giggle more." ove the brilliant primary colours! TSMFS!